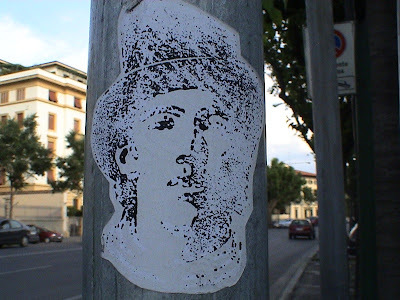 Old Billy the Sticker spotted in Firenze, Italy by flyk3r (thanks!). It should be at the corner between Via Leopardi and Viale Gramsci. Sottopassaggio ferroviario, Firenze, 25 aprile 2008, originally uploaded by adrianobonc. Billy in Firenze (again), Italy.